STORY: Mukai, a member of a mysterious group known as "Those from the Distant Land", stole the Orochi seal in the last tournament and broke it, causing confusion and destruction to happen from within sight. Taking advantage of the situation at hand, Ash Crimson attacked Chizuru Kagura in her weakened state and stole the Yata Mirror from her while draining her powers from within the process. 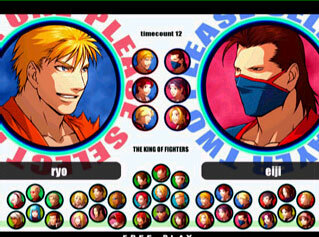 KOF XI's character selection screen is slick. 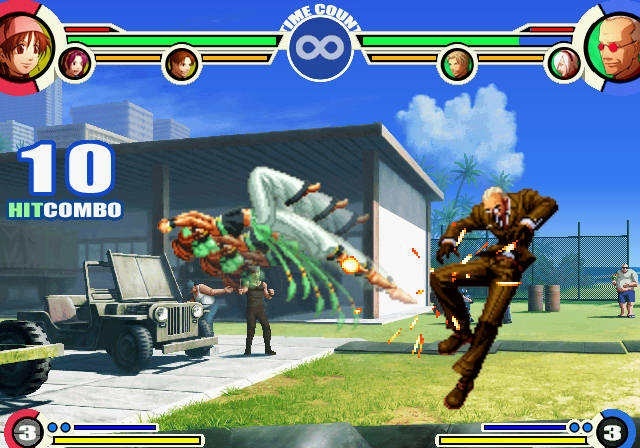 REVIEW: The 11th installment of SNK's trademark series reintroduces the 3-on-3 tag team gameplay and Tactical Shift system from the last 2D prequel. 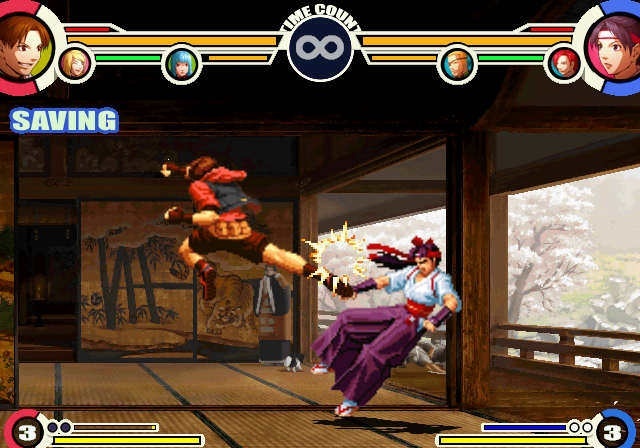 This version introduces a variety of new gameplay enhancements, including: an enhanced "tag combo" system, canceling system, and counter system. 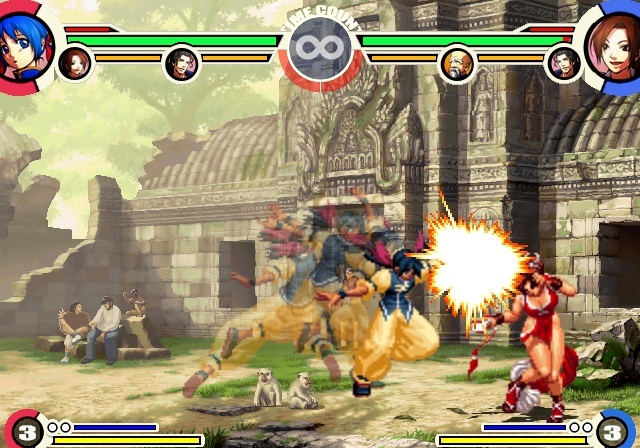 Among these are the Quick Shift (switch characters during combo), Saving Shift (tag out a character while they are being hit), and Dream Cancels (allowing players to use stocks to interrupt a move in the midst of its execution with a more powerful move, opening the door to devastating combos). 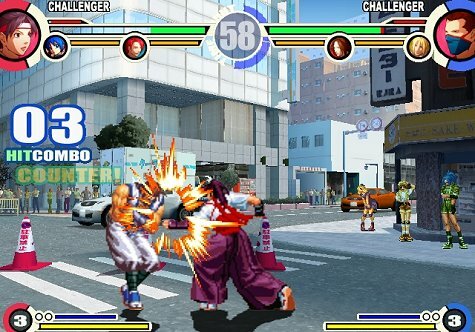 The home (PS2) version of King of Fighters XI includes a classic 3-on-3 Team Mode (if tag just isn't your thing) and even a traditional 1-on-1 mode. 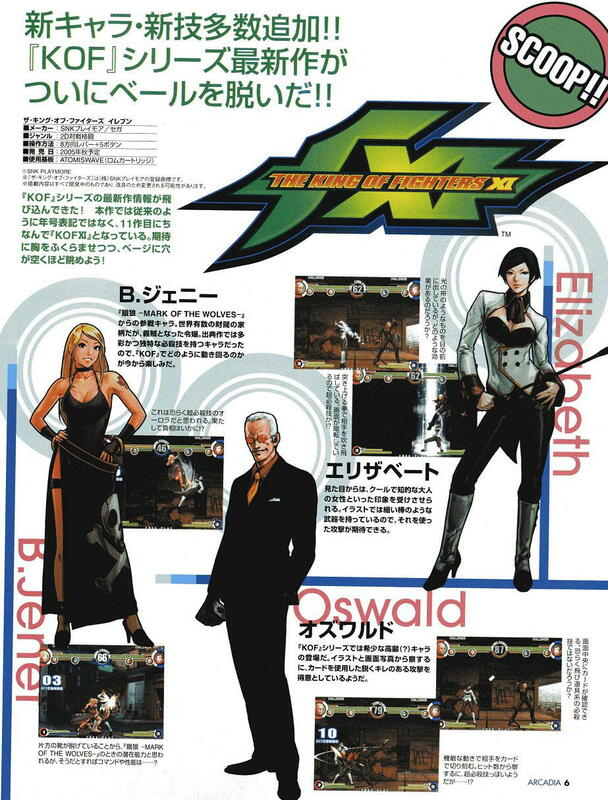 The console version presents the most characters ever to appear in a KOF game to date... including several PS2 exclusive characters which were taken straight from Neo Geo Battle Coliseum (Mr. Big, Geese Howard, Tung Fu Rue, Robert Garcia, Hotaru Futaba, Mai Shiranui and EX Kyo Kusanagi). 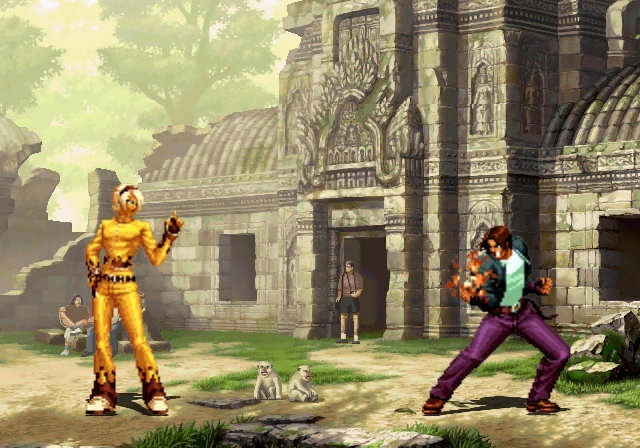 The PS2 version also includes playable boss characters, Color Edit Mode, 4 new stages, and 10 new BGMs. As far as presentation goes... the intro isn't as flashy or as exciting as one might hope, and the end boss of the game is really REALLY cheap. Those flaws are easily overlooked, however, because the VS mode is where it's really at, as usual. 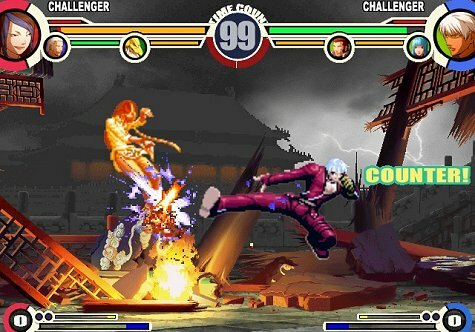 Overall, KOF XI's gameplay is faster and smoother than ever before. The new characters add great variety to the roster. Most of which are unquestionably cool and fun to use as well! 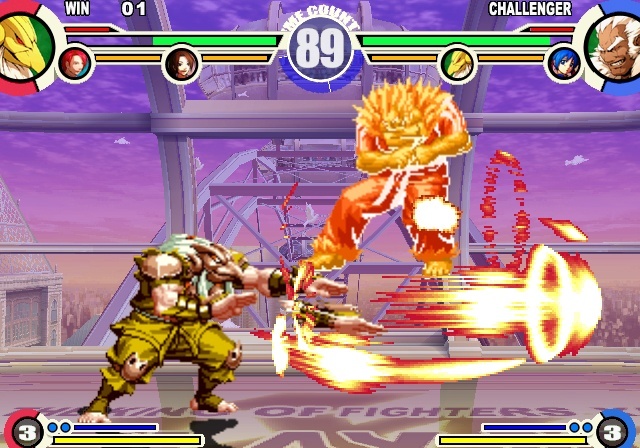 The important thing is... it still feels like KOF. 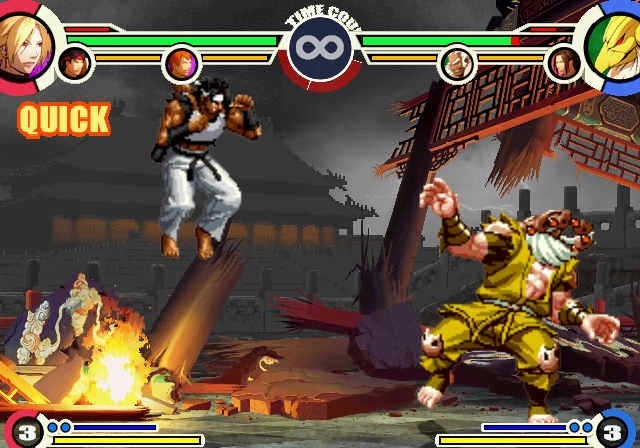 Whether you're a long time fan of the series or just a fan of 2D fighting games in general, you'll find something to like about this installment. 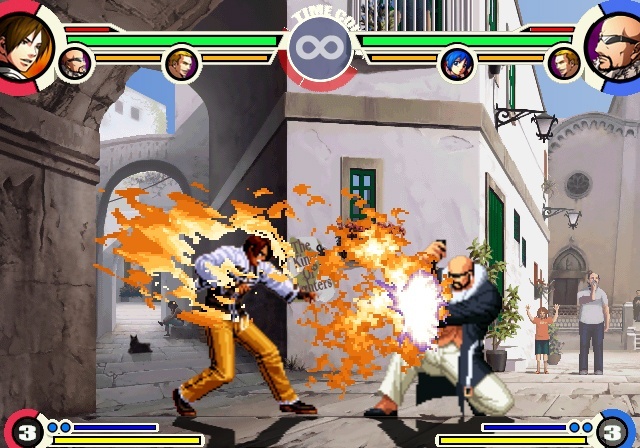 The animation and graphics impress for a KOF title... yes, the 2D sprites still look dated, but strut their stuff on some impressively sharp backgrounds. 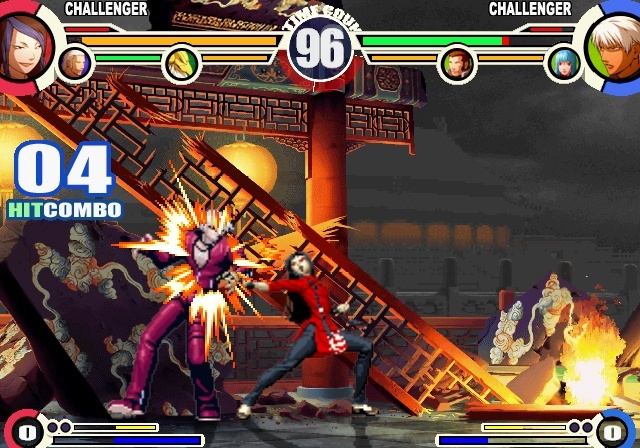 Some backdrops are done in high-res 2D, others in 3D, and the 2D sprites manage to look decent in both. The home version also has several graphical options, including different levels of "sprite blurring" to best suit your TV and screen size. 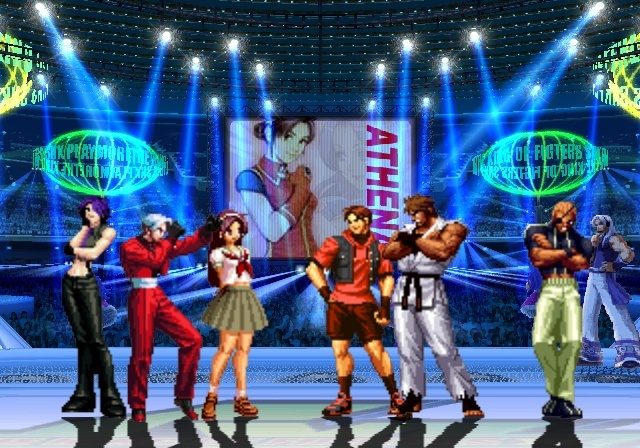 Leona looks sad... I wonder why. lol. 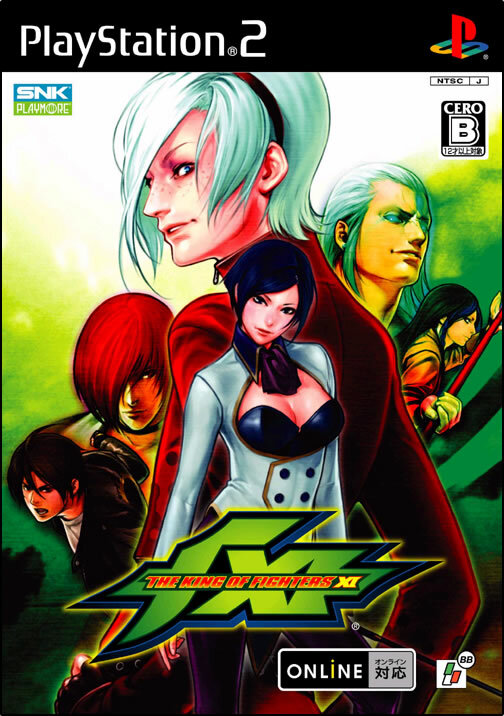 If you've read my previous KOF reviews, you'd know that I really enjoyed 2000 and 2003... but now I have a new favorite. 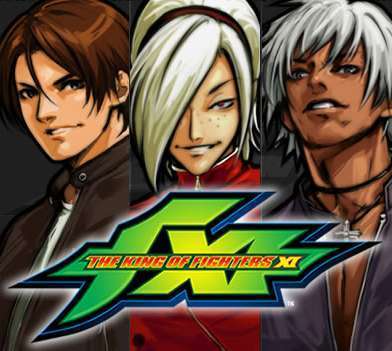 KOF XI's roster is easily one of the best in the entire series (and that's saying a lot). 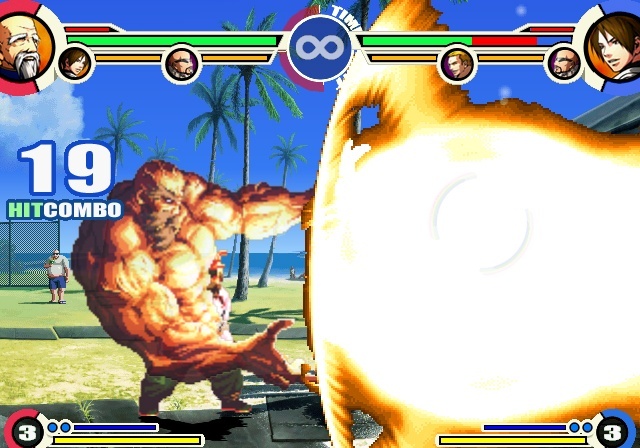 The gameplay has evolved significantly, but still offers that classic KOF gameplay that defines the serious. I definitely dig this edition's roster (even though Yamazaki is on vacation, yet again).